You do not need to fill up the voucher on the website, only bring the voucher with you when you come for the class. Our most popular class is the beginners class which will teach you all the basic techniques that you need to get started! In this class you will be taught how to make a bracelet, necklace and earrings using our extensive range of jewellery making materials. 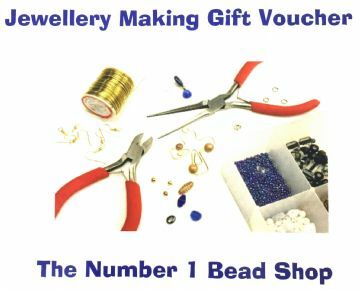 Advanced jewellery making classes are also available but we advise that if you have not made jewellery before then you first attend the beginners class..